31 Days of Mango | Now In eBook Format! The entire series, 31 Days of Mango, is now available in e-book format for Kindle and Nook! If you would like to read all of these articles on-the-go, while supporting the developers that wrote them, they are now available for in the Nook and Kindle stores! The proceeds of this book will be distributed amongst all of the amazing authors that contributed to this series of articles: Jeff Blankenburg, Jared Bienz, Samidip Basu, Jerrel Blankenship, Dave Bost, Michael Collier, Matt Eland, Jeff Fansler, Gary Johnson, Parag Joshi, Chris Koenig, Doug Mair, and Chris Woodruff. This entry was posted in 31 Days of Mango. Bookmark the permalink. There is no ebook version of “migrating…”??? The link is to dead-tree version. Also links to “31 days…” points to jpeg and not to web-store. Sorry…the links have been corrected! 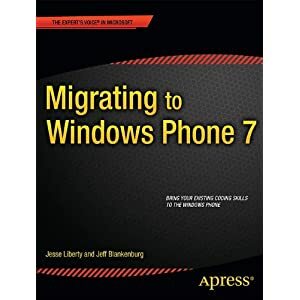 The e-book version of “Migrating to Windows Phone” will be available later this month. Hi, all of the links in your 31 Days of Silverlight are broken. Sorry for the irrelevant comment. Could not find an email address. Is there no DRM free version of the book to purchase? O’Reilly perhaps? Your posting really stairghtneed me out. Thanks!